Aloha Bruce (our Hawaii Aloha Travel guru) and I have something in common. We both got engaged in Hawaii! I just finished reading Bruce’s post about his trip to Eternity Beach on Oahu, where he proposed to his wife, Yaling. And, I couldn’t help but smile when I imagine Bruce burying the ring in the sand, Yaling “finding” it, and Bruce popping the question with this beautiful beach as the background. My own story is pretty sweet, too. My husband of 16 years surprised me with a trip to the Big Island’s Hilton Waikoloa Village, where he proposed at sunset atop a cliff overlooking the ocean (whales breaching in the background). In fact I’ll have to follow this post with another in March, after we take our three children to the very spot! Seems Hawaii is the ultimate place to pop the question, and judging from our own happy marriages, it just may be good luck to start your journey together in paradise. So, I’ve put together my take on the 5 best places to propose in Hawaii (excluding Eternity Beach and the Hilton Waikoloa Village), and perhaps you’ll consider getting engaged at one of these magical spots. It’s almost Valentine’s Day, after all! 1. Lanikai Beach on Oahu: Perhaps the most magical thing about proposing at Lanikai Beach is the backdrop. While you’re asking your nearest and dearest to marry you, you have the Mokulua Islands in the background to set the stage. I mean, how can a girl say, “No” when in the midst of such beauty?! In fact, the name of this mile-long, white sand beach means “heavenly sea,” and after you visit, you’ll see why. If you're thinking about proposing in Hawaii, you can get as creative as you like. 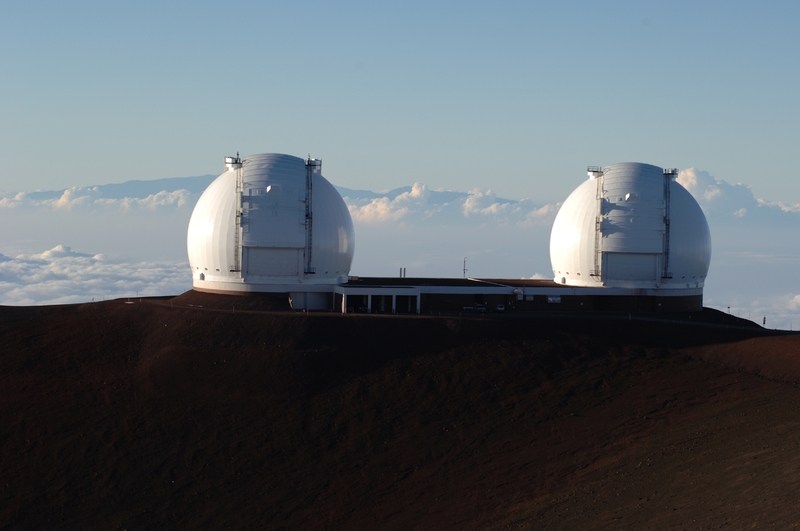 Popping the question atop Mauna Kea could be a memorable way to get engaged. 2. The Na Pali Coast of Kauai: You can’t go wrong if you choose to propose along the Na Pali Coast of Kauai. The area is home to waterfalls, beautiful green mountains, and a breathtaking coastline. The pali, or cliffs, are a backdrop of rugged valleys that suddenly end once they reach the ocean. If you can talk your sweetheart into hiking along this stretch of coastline, you’ll be sure to get a resounding “Yes!” after you ask her to marry you. Or, skip the hike and book a Na Pali Coast Adventure through Hawaii Aloha Travel. Choose between a Snorkel Sail and a Sunset Cruise, and find some time alone to pop the question. 3. In the Lavender Fields: I just discovered this hidden gem, and I’m in love already. 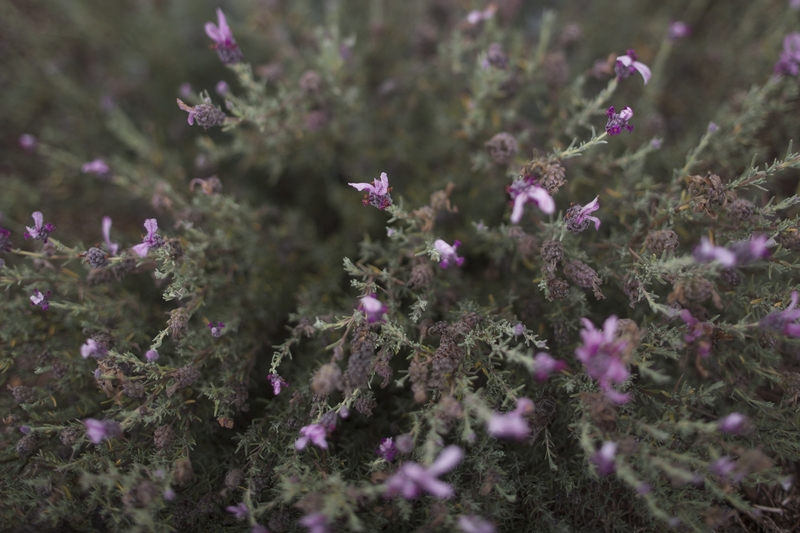 The Alii Kula Lavender Farm is on a Maui hilltop at about 4,000 feet elevation. It’s also home to about 55,000 lavender plants including 45 different varieties of lavender. When the moment is right, you can propose right there, in the middle of the 13.5 acre farm. The lavender field at Alii Kula Lavender Farm is a romantic way to get engaged, surrounded by 55, 000 lavender plants, including 45 different varieties fo lavender. 4. Atop Mauna Kea: The view of the heavens from atop Mauna Kea is unmatched just about anywhere in the world, and you can get an up-close view of the stars during the free stargazing program, which is held from 6 p.m. to 10 p.m. every night of the year. As the stars start to make their appearance overhead, whisk your beloved to a secluded spot and propose. She’ll never forget it! 5. Near a Waterfall on Maui: The famous Road to Hana is dotted with so many beautiful waterfalls, but it may be hard to convince your significant other to take this rather long journey. Instead, try Waimoku Falls, which is a 400-foot-high waterfall, set above East Maui’s sacred Pools of Oheo. It’s accessed by the Pipiwai Trail, a two-mile journey (each way) where bamboo groves and banyan trees line the challenging path towards the falls. But, the view is well worth it, and she’ll have a hard time turning you down with such a beautiful landscape in view. If you’re thinking about where to propose in Hawaii, you have a lot of things to consider: What kind of proposal do you want? How much effort do you want to put into getting there? What kind of experience would your girlfriend/boyfriend prefer? But, in the end, it’s all about the “moment,” not the environment. So, focus on the romance, and you’ll be just fine!